Born: 18 June 1861, Cape Town, South Africa. Died: 13 September 1937, Johannesburg, South Africa. George James McCarthy (or McCartney) Melle was the son of Dr George Alexander Melle and his wife Alison, born Tait. He grew up in Cape Town and studied medicine at the University of Edinburgh, qualifying in 1886 as Bachelor of Medicine (MB) and Master of Surgery (CM). Upon returning to the Cape of Good Hope he was licensed to practice in the colony on 13 January 1887. That same year he moved to Johannesburg, which had been proclaimed only the previous year after the discovery of gold there. He was licensed to practice in the South African Republic (Transvaal) as physician, surgeon and accoucheur in 1887, and served as acting district surgeon of Johannesburg from that year to 1889. During this time the town's first temporary hospital was established, with Melle as one of its four honorary visiting doctors. In 1890 a permanent hospital was opened and he became one of its consulting medical staff until 1891. He was furthermore the first secretary of the Transvaal Medical Society, founded in Johannesburg in March 1889, and in June that year read a paper before it on "The pathology of fever" in which he presented a short history of the clinical thermometer and its use in determining fever. During 1889 he married Anna Elizabeth Susanna van Niekerk, with whom he had two sons and two daughters. One son, Basil George von Brandis Melle, followed his father into the medical profession. Melle returned to the Cape Colony in 1891 and practiced in Robertson until the Anglo-Boer War (1899-1902) broke out. He was a member of the British Medical Association and by 1895 had joined its Cape of Good Hope Branch. By 1898 he had become a member of the (second) South African Medical Association (founded in 1896). At this time he acted as medical officer to various insurance companies. He published several articles in the South African Medical Journal during these years: "Labour obstructed by an ovarian tumour" (1894), "The sting of the scorpion" (1896), "Phthisis in South Africa from a public health point of view" (1898), and "A case of diphtheria treated with the antitoxin after tracheotomy" (1896) - the latter reporting the first use in South Africa of diphtheria antitoxin, a successful method of treatment developed in Europe in 1894. During the Anglo-Boer War Melle served as a civil surgeon to the British forces. After the war he practiced in different towns in the Western Cape, namely Paarl (1903), then in Riversdale (1906, 1907), and then in Robertson again (1910). He became a member of the South African Association for the Advancement of Science in 1902, shortly after its formation, and around 1920 became a member also of the South African Biological Society. During 1914 he presented a collection of rocks to the McGregor Museum in Kimberley. In 1915 he went to Southern Rhodesia (now Zimbabwe) where he was medical officer to the Rhodesian Native Labour Bureau in Salisbury (now Harare). 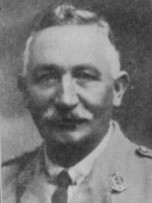 In 1917, during World War I, he served in the South African Medical Corps with the rank of Captain. After his war service he was briefly attached to the Miners' Phthisis Bureau in Johannesburg. However, by 1918 he was living in Potgietersrust (now Mokopane), serving as medical officer to Potgietersrust Platinums, Ltd., and Groenfontein Tin Mine. He remained in Potgietersrust until just before his death. During his last years Melle contributed three historical articles to the South African Medical Journal: "Reminiscences of a Rand medical pioneer" (1929), "Johannesburg Hospital in pioneer days" (1935), and "Some memories and reflections" (1937). Google scholar. http://scholar.google.co.za Publications by G.J.M. Melle. McGregor Museum. Annual Meeting. Curator's Report [for 1914]. Diamond Fields Advertiser. ? March 1915 (copy in McGregor Museum, Kimberley). Melle, B.G. The Transvaal Medical Society. South African Medical Journal, 1937, Vol. 11(7), pp. 217-220. National Archives Repository (TAB), Source MHG, Vol. 0, Ref. 99429: death notice, George James McCarthy Melle. National Automated Archival Information Retrieval System (NAAIRS). http://www.national.archives.gov.za/naairs.htm Documents relating to Melle, George James McCarthy / Melle, G.J.M. Obituary: Dr G.J. Melle. South African Medical Journal, 9 October 1937, p. 698. Retrieved from https://journals.co.za/docserver/fulltext/m_samj/11/19/12257.pdf?expires=1538730452&id=id&accname=guest&checksum=96402E6F2115DF5D05A28495A64002AC on 2018-10-5. South African Journal of Natural History, 1920, Vol. 2(2), list of members (of the SA Biological Society). South African Medical Journal [Series 2], December 1895, Vol. 3, p. 235: List of members, CGH Branch of the BMA; January 1898, Vol. 5, pp. 240-242: South African Medical Association (list of members). Staats Courant der Zuid-Afrikaansche Republiek, 2 April 1890, p. 298, Gouvernements Kennisgeving No. 90: Lijst van toegelaten geneeskundigen.